Ravi Shankar is the founding editor of the online journal Drunken Boat and Professor and Poet in Residence at Central Connecticut State University. Ravi Shankar reads from Instrumentality. 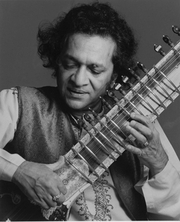 Ravi Shankar is currently considered a "single author." If one or more works are by a distinct, homonymous authors, go ahead and split the author. Ravi Shankar is composed of 5 names. You can examine and separate out names.